We found these sausage plaits at the British shop Stonemanor in Everberg (in between Leuven en Brussels). 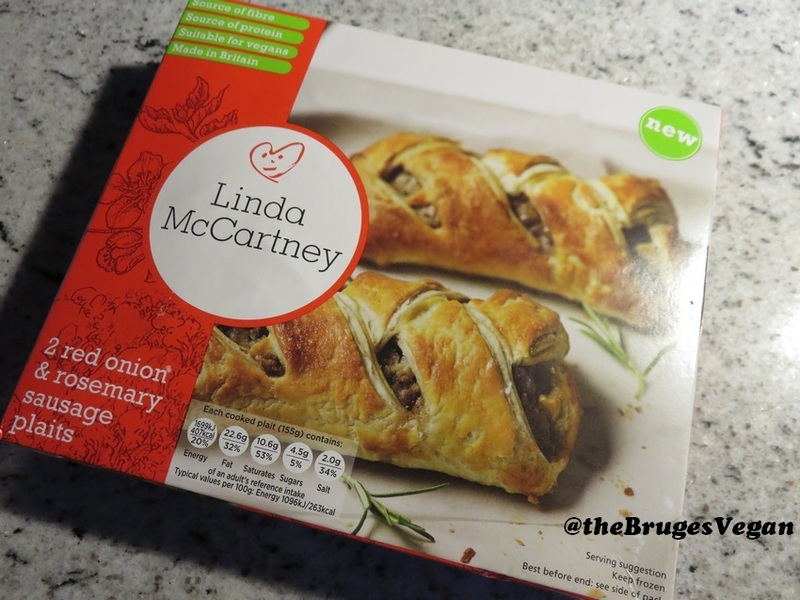 Stonemanor sells a variety of frozen Linda McCartney products, which are unfortunately not commonly found in Belgian shops. We were happy to also discover some items that are labelled suitable for vegans. One of the things we bought was a box with two red onion and rosemary sausage plaits. 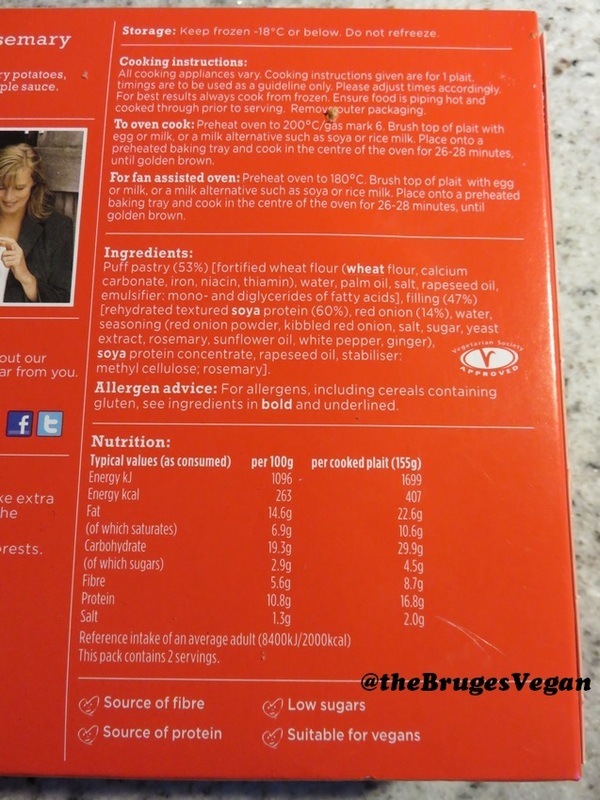 The sausages in the plaits are soy based. Preparation of the plaits is very simple: brush them with a little bit of soy milk and put them in a preheated oven (200°) for 30 to 40 minutes. We had these with savoy cabbage (from our garden!) and quinoa. With some ground cashews on top of the savoy. They were quite nice. And actually very cheap (1,75€ a piece). I wouldn’t eat these every day, or every week even, but it’s a perfect thing to have at hand in the freezer when you don’t have that much time or inspiration to really cook. They also do a ‘meat’ pie, which is pretty good. 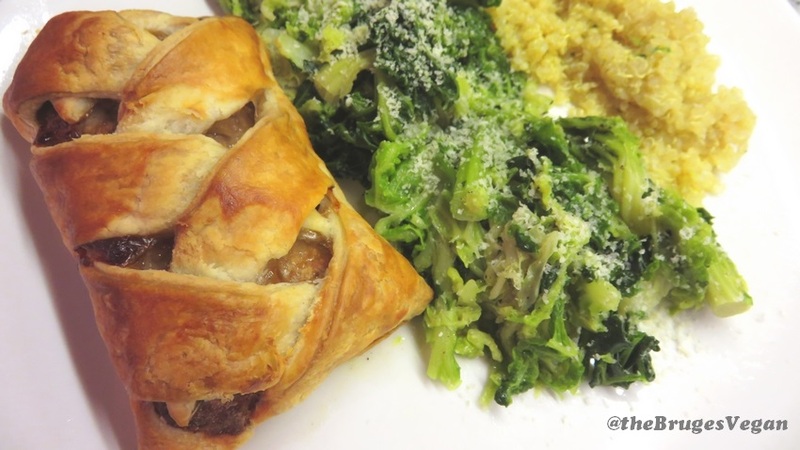 Or at least as good as any other frozen meat pie I’ve had before I went veggie. thanks. I’m not so familiar with the Linda McCartney products, as they are rarely sold in shops around here. They do look great & what a tasty meal too! Yum!